Fiona Davis, author of The Dollhouse, returns with a compelling novel about the thin lines between love and loss, success and ruin, passion and madness, all hidden behind the walls of The Dakota—New York City’s most famous residence. After a failed apprenticeship, working her way up to head housekeeper of a posh London hotel is more than Sara Smythe ever thought she’d make of herself. But when a chance encounter with Theodore Camden, one of the architects of the grand New York apartment house The Dakota, leads to a job offer, her world is suddenly awash in possibility—no mean feat for a servant in 1884. The opportunity to move to America, where a person can rise above one’s station. The opportunity to be the female manager of The Dakota, which promises to be the greatest apartment house in the world. And the opportunity to see more of Theo, who understands Sara like no one else…and is living in The Dakota with his wife and three young children. In 1985, Bailey Camden is desperate for new opportunities. Fresh out of rehab, the former party girl and interior designer is homeless, jobless, and penniless. Two generations ago, Bailey’s grandfather was the ward of famed architect Theodore Camden. But the absence of a genetic connection means Bailey won’t see a dime of the Camden family’s substantial estate. Instead, her “cousin” Melinda—Camden’s biological great-granddaughter—will inherit almost everything. So when Melinda offers to let Bailey oversee the renovation of her lavish Dakota apartment, Bailey jumps at the chance, despite her dislike of Melinda’s vision. The renovation will take away all the character and history of the apartment Theodore Camden himself lived in…and died in, after suffering multiple stab wounds by a madwoman named Sara Smythe, a former Dakota employee who had previously spent seven months in an insane asylum on Blackwell’s Island. 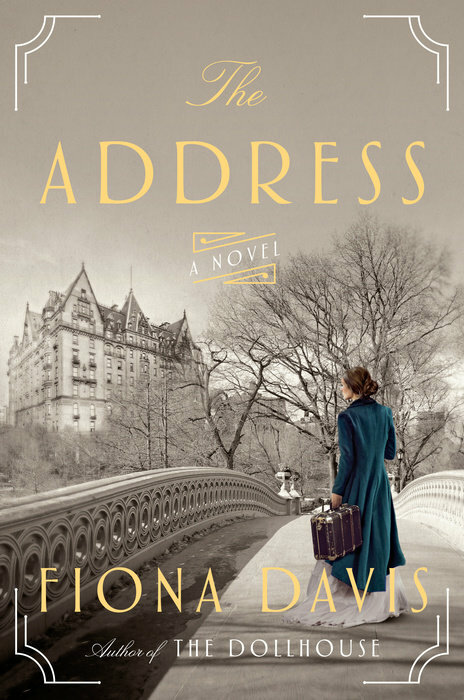 With rich historical detail, nuanced characters, and gorgeous prose, Fiona Davis once again delivers a compulsively readable novel that peels back the layers of not only a famed institution, but the lives—and lies—of the beating hearts within.